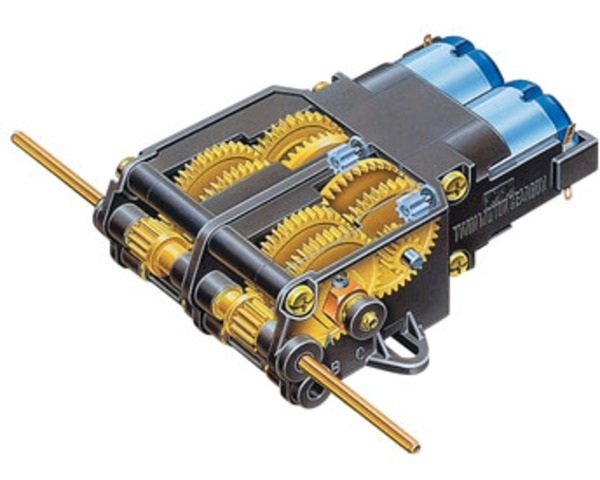 This is a Twin Motor Gearbox Assembly Set from Tamiya. independently control each of the output shafts. for smooth and efficient operation. Two gear ratios, 207:1 or 58:1 can be selected. One Twin Motor Gearbox Assembly Set.